Contemporary Classic Cars, Inc. – Ravenhawk: A classic car made to be driven, with the luxury you expect of a contemporary car. with the luxury of a contemporary car. We are in the business of manufacturing a truly unique vehicle, the Ravenhawk. It is a “wide body” exotic car that has the amenities of a luxury car; however it looks like, sounds like and performs like an exotic sports car. It has the side profile of a classic car with a “swoopy” contemporary look. The convertible top and huge trunk give you the flexibility to drive in any weather, as well as having room for golf clubs and baggage—even with the top down! It's no fun going someplace by yourself; with the Ravenhawk you can take your spouse or a friend in comfort! Rather than concentrating on refurbishing an existing car that most likely has a significant amount of rust and grease that has to be redone prior to any beautification effort, CCC manufactures a new fiberglass body and space tube frame. We also purchase contemporary systems, i.e. engine, transmission and suspension for each Ravenhawk. As many parts as possible are utilized from existing major car manufacturers so that if any repair work is needed, at home or on the road, the local car dealer’s mechanics are familiar with them. Also parts are readily available vs having to send your car back to a custom shop to rebuild the only part that exists. 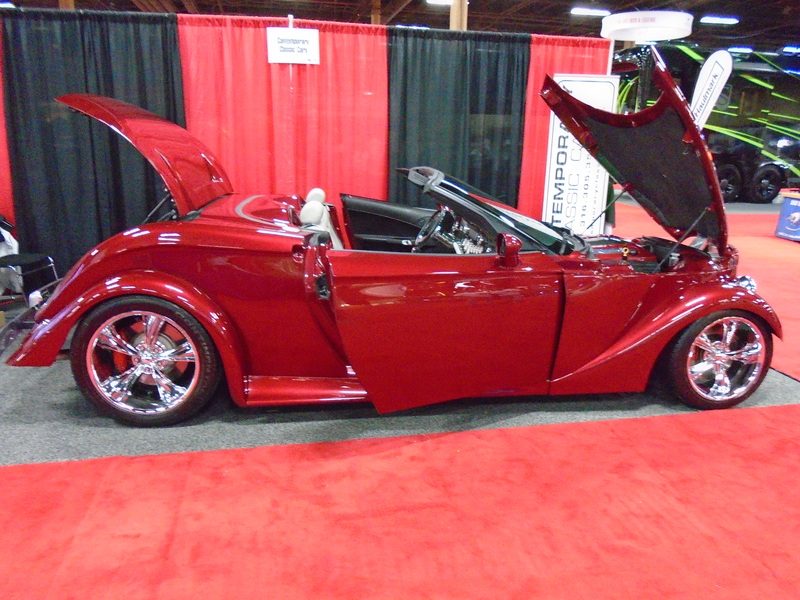 CCC has significant experience in the classic / exotic car market, and we have shown at major events, such as local, regional and national car shows, racing events, Barrett-Jackson and RM Auction exhibits. By driving the Ravenhawk to events we have not only proven the robust design, but also received valuable feedback from the market that the concept is valid. Be sure to check out the Ravenhawk detail specifications, and feel free to contact us if you have any questions. ® Ravenhawk is a registered trademark of Contemporary Classic Cars, Inc.